NEW YORK (WABC) -- The Rangers have turned things around recently, being winners in six of their last seven games. They are currently on a five-game winning streak, coming off another impressive win Wednesday night against the Boston Bruins. This time around, they achieved a 4-2 victory at Madison Square Garden. What can be credited to this turn around? One thing is for sure, this team needed time to blend together. Entering into any new season, there is a turnover in the roster. This season is another example of that. The dismal month of October where the Rangers went a disappointing 3-9 is over. A month where the Rangers were not only off to poor starts in games, but showed the inability to play a complete 60-minute game. Thus far, November has been a complete reversal with strong finishes and a high compete level. This is what Rangers fans have been expecting to see. Kevin Shattenkirk leads all defensemen in the NHL with 16 points, and has been an important factor in the team's power play. Shattenkirk has been aggressively moving the puck around, and has plenty of options to choose from while quarterbacking from the point. Which is a stark difference to last years power play, where we would see this team retreating into their defensive zone to retrieve the puck. Most teams pay close attention to Mika Zibanejad because of the threat he poses, leaving a line of sight to fire the puck from the point for Shattenkirk. Let us not forget the abilities of Chris Kreider and Pavel Buchnevich on the unit. This component with Mats Zuccarello has shown to be a potent ingredient in the Rangers success in this streak. Henrik Lundqvist has seemed to have found his game. 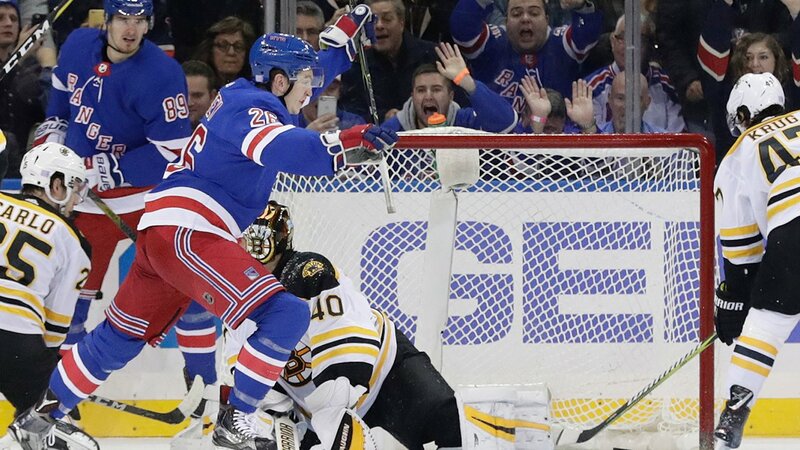 Rangers fans are accustomed to seeing Lundqvist single-handedly stealing games. Following Wednesday night's victory, Lundqvist said, "We played a really smart game, we set the tone in the first period. Great energy, after they tied the game we raised it another level." Lundqvist went on to add how the team in front of him has added to his game. "They help me to play my game, I can focus a lot on the shooter, and be a little more aggressive when we're in the right place," he said. The Rangers don't disguise their recipe for success. It has always been to ride their goaltender, and when he's on his game it's a tough night for opponents. Since October 30th, Lundqvist leads the NHL in wins with five. Next up for the Blueshirts are the Edmonton Oilers, who are in an early season struggle of their own. The face-off is set for 1 p.m. at Madison Square Garden on Saturday.